Coach. Facilitate. Consult. What’s right for you? Individual executives take full advantage of challenging times by investing in their own growth and abilities—they work with a coach. 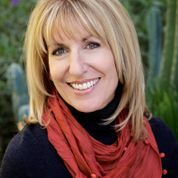 When leaders want to bring their teams together to solve a problem or create a shared future—they use a skilled facilitator. When boards need to optimize their working relationship with a CEO and effectively execute their strategic plans— they consult an experienced director. (Katie) shines particularly in circumstances with complex problems and a variety of personalities and issues… She is a gifted problem solver and mediator. It is wise to have strategic advisors to help navigate your way through complicated and challenging waters. You don’t have to be lost or broken to find Katie’s advice valuable. Good strategy needn’t only be necessary to get out of crisis—it is how you avoid crisis and find whatever it is that you most want to achieve. Katie’s approach is to improve the picture, not to take a new one. Katie has ‘been there’ so she has a very practical view of (corporate) reality. She helped me get a level of focus that has truly paid dividends. 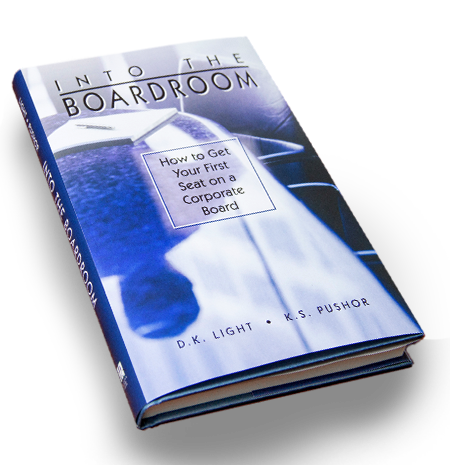 Ready for your first seat on a corporate board? Download this book today! Do you have what it takes? Are you a candidate for service on a corporate board today? In the future? This book was written to answer that question for you, and to advance the concept of board service as a career goal among a broader and more diverse pool of talent than has been considered in the past.